Queer Eye has captured our hearts with its touching makeovers that transform lives, spark thoughtful social commentary, and always make us ask, Who is chopping onions in here?! And the newest season, which premiered over the weekend, might be its most powerful yet — all thanks to the ladies of Jones Bar-B-Q. 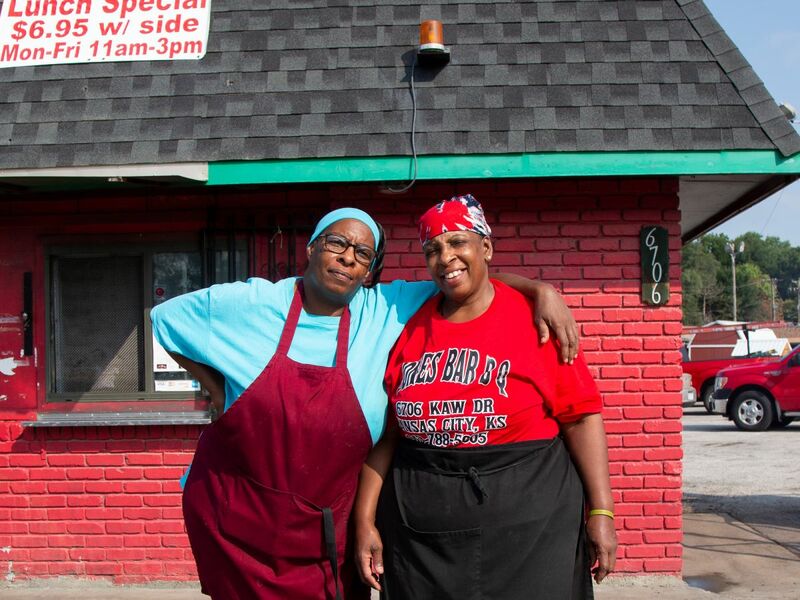 The episode highlights Mary and Deborah Jones, a dynamic sister duo that run a bustling barbecue spot in Kansas City. The stories of the two women, who have dedicated their lives to their family, will have your eyes welling up within minutes. And if there’s one scene that’s really setting off the waterworks, it’s Mary’s smile makeover. After Tan France and Jonathan Van Ness notice that Mary is self conscious about her smile, they take her to a local dentist for a consultation. Mary reveals that she damaged her front teeth in a bicycle accident when she was a child, and she now covers her mouth whenever she talks. France and Van Ness hold her hand as Missouri-based cosmetic dentist Holli Careswell, MD, completes the procedure — and seeing Mary’s reaction afterward is one of the most moving moments of the series. With the help of France and Van Ness who accompanied her, Mary was able to face her fears with confidence. Along with holding her hand — which you can see in the episode — Van Ness had some other off-camera tricks that made all the difference. “Jonathan did some breathing techniques with her to help her to relax a little bit,” said Dr. Careswell, who added that the laughing gas didn’t hurt either. For the actual procedure, Dr. Careswell inserted a 3-unit dental bridge, which can be used when there are empty spaces between the teeth like Mary had. It typically costs around $3600-4500, but the price varies depending on the case and how many teeth are being replaced. The pain-free process, which cements the crowns to the adjacent teeth, usually takes about an hour and a half from start to finish. Although Mary was happy with her transformation, there’s still more work to be done and she is now a regular patient at Dr. Careswell’s office. “She told me she’d like to go ahead and work on the left side, fixing some other spaces that she has in her mouth,” Dr. Careswell says. But the most important change has already been made. “She’s so much more outgoing and just projects herself with the light she always had inside of her,” Dr. Careswell says. Does Ray Liotta Have A Secret?